There is a world-wide crisis that few people know about, but that may very well determine how hungry the world is in the future. The scientific community and laymen around the world are voicing increasing alarm about the genetic wipe-out of our food crops and their ancestors. Two specific areas of this crisis which have received almost no consideration are the extinction of both “heirloom” vegetable varieties and also the vegetable varieties currently being dropped from seed catalogs. Because the United States is a nation of immigrants, we have been blessed with the largest and most excellent collection of food crops ever bestowed on any nation. From literally every corner of the world, gardeners brought with them the best of their vegetable varieties and proceeded to acclimate them to varying regional conditions across the U. S. This natural ethnic wealth of seeds is greater than could ever possibly have been achieved through plant exploration and introduction. This incredible diversity of varieties made America the agricultural giant that she is today. But much of this wealth is being lost forever and we must act immediately to save what remains. I have worked for the last five years to save this vanishing vegetable heritage. Many of these living heirlooms have been kept alive in the same family for over 150 years, always being passed from generation to generation. But life today in the U. S. has become so mobile that the majority of families move every few years. This separation of the generations necessitates that at this point in time, we must help with this handing-down process or thousands of heirloom vegetables varieties will be lost during the next generation. Across our land, elderly gardeners are keeping unique vegetable varieties that for lifetimes have been bred up and adapted to local conditions, pests and diseases. But when these master gardeners pass away, unless they have found younger gardeners to keep replanting their seeds, that outstanding variety becomes extinct. Not only will future generations never enjoy it, but we have lost forever irreplaceable genetic characteristics which may be desperately needed in breeding future food crops. (Dr. Garrison Wilkes, Professor of Biology, University of Massachusetts). (Dr. Erna Bennett, Crop Ecology and Genetic Resources Branch of the Food and Agricultural Organization of the United Nations). (Dr. Jack Harlan, Professor of Plant Genetics, University of Illinois). A similar crisis has been developing for some time within the seed industry and only recently has reached epidemic proportions. Each year hundreds of vegetable varieties are dropped from seed catalogs, not because they aren’t delicious and unique, but because it is only profitable for the large seed companies to stock the varieties which sell the most. When each is dropped from commercial availability, unless an individual decides to keep that variety alive, it becomes extinct. I have seen lists of vegetable varieties that were available at the turn of this century and I was amazed. The names of bean varieties available then covered six standard sized pages of single spaced typing, pea varieties covered four similar pages, onion varieties covered two and a half pages, etc. It is estimated that less than 20% of these varieties have survived until today. Although many of the vegetable varieties that were dropped during the first half of this century had been superseded by superior varieties, that has not been the case for at least the last 20 years. Far from being obsolete or inferior, the varieties being dropped today are literally the cream of the crop(s). Each is the result of millions of years of natural selection, thousands of years of human selection and usually about a decade of intensive plant breeding and testing. Only the very best make it to the catalogs and each is unique and irreplaceable. But they are being allowed to die out, due to the economics of the situation, with no systematic effort being made by government agencies or lay organizations to keep them alive or store them. We are allowing the breeding materials for the food crops of the future to be lost forever. We must stop this useless and short-sighted destruction. In 1975 an elderly friend and gardener gave me seed of three heirloom varieties that his family had brought over from Bavaria five generations before – a cabbage that had grown so large that year that “one head made nine quarts of kraut”, a delicious and very prolific pole bean and a purple morning glory with a red star in its center. The old man didn’t make it through that winter and I realized that it was up to me to keep his seeds alive. Realizing too how much must be lost each year in this way, I decided to do something about it. I have a degree in Journalism, so I started playing with the media and the mail. That winter through letters to gardening magazines, I contacted and traded seeds with six other heirloom seed savers. One of the six – Lina Sisco – died the next spring, but by then several of us were growing the Bird Egg Bean that her grandmother brought to Missouri in the 1880’s. During 1976 there were 29 of us and I poured more energy into contacting other heirloom seed keepers. I became the focal point for all correspondence and communications. By 1977 there were 140 of us and I started mimeographing a yearbook containing each member’s name address and lists of the varieties they had to trade and lists of the varieties they had lost and were trying to find. In 1978 the network had grown to 238 members. I researched saving vegetable seeds and added a Seed Saving Guide to the yearbook to teach others how to save vegetable seeds and keep their varieties pure and disease free. In 1979 there were 274 of us and the yearbook I write each winter was turning into a book. And during 1980 there are 328 of us participating in this unique network called the Seed Savers Exchange. During the past five years approximately 600 different members have offered an estimated 3,000 heirloom or unusual vegetable varieties to over 9,000 interested gardeners. I would roughly guess, estimating conservatively, that 150,000 plantings have been made of vegetable varieties that aren’t in any seed catalog and in many cases were on the edge of extinction. It is hard even for me to imagine the impact this kind of an exchange is having. Varieties that would have been lost due to the deaths of members are now available from many sources. Many members write expressing deep gratitude for finding varieties they had been trying to locate for up to 40 years. Our efforts have been praised in articles by over 110 magazines or newsletters and national wire service articles have been carried by hundreds of newspapers around the country. I am very proud of the Seed Savers Exchange and what I have been able to achieve with just my spare time and no financing. But this year will be a critical turning point for the Seed Savers Exchange. I have been desperately striving to build the SSE to the point where it would provide a meager living for my family, so that I could work full time with it. In this respect I have only been about one-third successful. SSE has hit a sort of growth plateau entirely due to my lack of time. The avalanche of correspondence generated by the exchange is tremendous. While working another job, it is all that I can do to keep up with it by working late into each night. I no longer have time to pursue the opportunities for growth as they present themselves. It would take less than two years to achieve permanent self-support for the SSE, but unless I can spend full time with it now, there’s no way. It frustrates me that the SSE is just a shadow of what it could be. Especially because events are taking place right now which are accelerating the deaths of vegetable varieties. Many gardeners keeping heirloom vegetable varieties are very old and their seeds will be lost within years. The weather is becoming very unstable and I have always feared a growing season that would be so short or so dry that it would wipe out many of the remaining heirloom varieties. With great concern I watched this summer’s heat wave burn up everything in its path from Texas to Iowa. I’ll never know how many heirloom varieties were lost by gardeners I haven’t been able to contact yet. I lecture my members each year to never plant all of any seed because they may lose it. This winter I’ll see how many of them heeded my warnings. During the last five years my efforts have saved hundreds of heirloom vegetable varieties from extinction. But for every one that is saved, I hear about two that were lost. Every year now I locate elderly bean or tomato collectors who are keeping literally hundreds of varieties, but often their health is failing and their collections will be lost within a few years. Seed hoarders, whether breeders or interested amateurs concentrating on a particular crop, can often amass impressive collections. But when they die, there is often no transfer of seeds or knowledge about their varieties. They haven’t prepared anyone to carry on and to understand the significance of some varieties compared to others. The Seed Savers Exchange has given gardeners a forum in which to discuss and offer their heirloom and endangered vegetable varieties. It is really filling a void, so that we can all learn from each other and stop these irreplaceable resources from being lost. Burt Berrier is a good example of what happens when an amateur collector dies. He passed away in January of 1978 at the age of 84 and was keeping over 450 varieties of beans that he had collected over a 50 year period. Burt was one of the first combine servicemen and traveled all over the West in a period when farmers were still growing and combining fields of dry beans. Many of his varieties were collected during this period. I had been corresponding with Burt for over a year. We were just beginning to make plans to transfer his collection to the membership of the Seed Savers Exchange. Then I heard that he had passed away and that officials from the National Seed Storage Laboratory had picked up his collection. It is the policy of the Laboratory to make available only seed of specific varieties when there is no other known source. So I figured that we had simply lost access to Burt’s collection. But the NSSL’s collections are, for the most part, varieties and relatives of large scale agricultural crops. It stores mostly the breeding done at the State Experimental Stations and is sometimes criticized for the redundancy of its collections. NSSL is terribly under-funded and under-staffed and doesn’t have much money for growing varieties that need multiplying. They store only five pound samples and since almost all of Burt’s samples were smaller than that, they offered the entire collection to John Withee. John directs a network of several hundred bean collectors and growers called Wanigan Associates. Each year they multiply over 900 varieties of heirloom beans. Approximately 30% of Burt’s 450 varieties had already died due to his decreasing ability to carry the load of his collection during his final years. Out of Burt’s collection, only 180 varieties still survive in the membership of Wanigan Associates. This clearly shows why government collections cannot perform our function and why our work is definitely not duplicating their efforts. The type of networks I am developing are satisfying needs that government programs aren’t fulfilling and reaching people not normally reached by them. Government collections are not open to individuals, while SSE and Wanigan Associates are. The government isn’t making any systematic effort to locate heirloom varieties (Burt Berrier’s collection was picked up by them at his earlier request) or any systematic effort to save varieties being dropped by commercial sources. It is very obvious that a laymen’s exchange of seeds that works as a supplement to government programs is the best plan to pursue. John Withee wants me to take over his network of heirloom bean collectors. He retired about two years ago and hasn’t had a spare minute to himself since because of his “hobby”. I have agreed to attempt to start taking over his organization this winter. I hope to combine our two networks into an even stronger organization. This is a unique opportunity because, as I have shown, much is often lost when collections change hands, especially a collection of this size. But John and I each have a sizeable network of growers already established. Also I have a communications and seed exchange network already set up and working well. And most important, John and I have the time to make an orderly transfer with all knowledge of these varieties intact. The success of my attempt to take over Wanigan Associates is to a large extent dependent on the time this grant will give me. Each year hundreds of vegetable varieties are dropped from seed catalogs and die out. Recent developments in the seed industry have escaladed these losses tremendously. During the last few years, large multinational chemical and drug corporations have been buying up seed companies at an incredible rate. The resulting conglomerates then drop most of the regionally-adapted varieties formerly carried by their newly acquired seed companies and replace them almost exclusively with either hybrids or patented varieties. At the rate things are going, more varieties will be lost in the next few years than have been lost in the last 20 years. As the economy continues to decay, I believe that many small seed companies will unknowingly be putting out their last catalogs this winter. Massive bankruptcies of small seed companies would result in the wholesale destruction of thousands of excellent, locally adapted vegetable varieties. It is essential that we immediately inventory all vegetable varieties that are still commercially available. I have already compiled lists of nearly every seed company selling vegetable varieties in the United States and Canada. I intend to make an inventory indexed by vegetable variety name, each of which is followed by a coded list of the companies which handle that variety. This would clearly show the varieties that are in the most danger of being dropped. Although “The 1981 Inventory of Vegetable Varieties” would be a massive task to compile and write the first year, it would be relatively easy for me to update each year after that. Such an inventory would be an invaluable tool for anyone interested in preserving vegetable varieties. Many of my members buy up varieties, if they know they are in danger of being dropped. But most gardeners have no idea that a favorite variety is in danger until it simply doesn’t show up in their catalog one year and they are unable to find it from another source. Such an inventory would show what all is available, what varieties are endangered and, as the years go by, what varieties have been dropped. But it’s most important value would be in showing what varieties are endangered before they are dropped. Such endangered varieties could then be bought up and stored or multiplied and exchanged. It was becoming apparent that I needed a way to store seeds for long periods of time to insure that endangered vegetable varieties that I had already located would not be lost. I became increasingly fascinated with seed storage projects in which seeds are dried, canned and frozen. When seeds are stored this way, most varieties have a shelf life of 20 years or more before they must be multiplied or replaced. Most varieties of tomatoes are still in fine shape after 50 years of storing by this method. As the Seed Savers Exchange continued to grow, it was becoming increasingly necessary to have such a frozen collection of the wealth of germplasm which flows through the SSE each year. 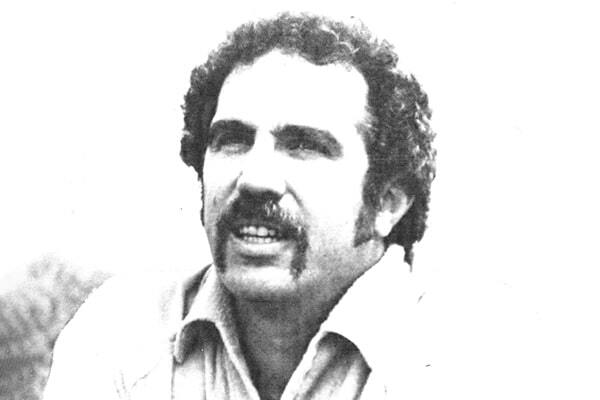 Early in 1980 I was contacted by Steve Starr, a young botanist living near Columbia, MO. Because of deep personal concerns over genetic wipe-out, Steve had bought a canning machine which makes an air tight tin can. It’s just like the machines used at the National Seed Storage Laboratory. He also has access to expensive seed drying equipment at the University of Missouri. He asked for help in locating varieties that I thought were the most endangered. In return he offered to dry, can and freeze collections for both of us. We decided to concentrate on processing as many endangered collections as soon as possible. We bought several dozen varieties of cold hardy and sub-arctic tomatoes from the collection of Edward Lowden, age 90 of Ontario. We are trying to buy 30 tomato varieties from the collection of B. Quisenberry, age 92 of Ohio. I am working to obtain about 150 tomato varieties from the collection of Mrs. Gladys Gronke of Illinois. I have also contacted Ted Walsh who is keeping a collection of 150 tomato varieties in Texas. Two large bean collectors who are working through both the SSE and Wanigan Associates have already sent most of their large collections and John Withee will send in several hundred other varieties this winter. We also bought 30 pepper varieties from Horticultural Enterprises in Texas. And Gary Paul Nabhan, SSE member and ethno-botanish from Arizona, is supplying specimens of many very rare desert-adapted traditional food crops of several Indian tribes from the Southwest and Sonora. Right now Steve and I are storing the beginnings of these collections in chest freezers in our basements. When I publish plans for the Heirloom Seed Bank in “The 1981 Seed Savers Exchange” during February of 1981, a couple thousand heirloom varieties will be added to the collections immediately from SSE members. After “The 1981 Inventory of Vegetable Varieties” is published in the spring of 1981, I plan to purchase and store at least a thousand endangered commercial varieties. Steve and I agree that we should develope twin identical collections to be stored at both his home near Columbia, MO and at my home near Princeton, MO. I will publicize the Heirloom Seed Bank through the media and in the SSE and will supply empty seed packets and forms to interested gardeners to document the history and physical characteristics of each heirloom variety. Two samples of seed of each variety will be sent to Steve and he will continue to do the drying, canning and freezing and I will pick up my half of the collection each winter. I will maintain the records needed for each variety, keep files on the collections and distribute seeds through SSE as necessary to renew them. I view the Heirloom Seed Bank as insurance against any loss of varieties until I have built my organization to the point that we can multiply the entire collection each year. At that time I intend to build a new seed vault and store that season’s new collection in a different location each year. During the past two years it has become increasingly apparent that many individual gardeners are beginning to realize how desperate this need for preservation is and are willing to work to help. Hundreds of gardeners have written to me saying that they do not have any heirloom seeds to offer, but that they would gladly work to increase such seed stocks. This has been very gratifying because I have always felt that ultimately individuals must become involved and take the responsibility themselves for locating and growing endangered varieties. I intend to develope a system of growers who are not yet keeping heirloom varieties, but are willing to multiply rare seed stocks. These growers would multiply out a certain number of varieties, return part of the seed to the Heirloom Seed Bank, and share their remaining seed by participating in SSE. These growers plus SSE growers plus Wanigan Associates growers would allow me to take over John Withee’s heirloom bean network fairly easily. With such a Growers Network, I could offer aid to my collectors, who are keeping hundreds of varieties and can no longer carry the load, or to any gardener who needs help in multiplying an heirloom variety because of infirmity or whatever. Until now my efforts through the printed media have been only to locate heirloom varieties. From now on my messages will be geared just as much to developing a Growers Network. Both of these needs can be presented to gardeners in the same mailings and articles. I want to contact all Living History Farms, Outdoor Museums, Botanical Gardens, State Horticultural Societies, etc., who are already keeping “period gardens” as part of their projects. I have already been contacted by about a dozen directors of such gardens, because they have a very hard time locating appropriate vegetable varieties from the correct time period and ethnic origins. I can supply such seeds to them in return for them multiplying and making them available on a permanent basis. By generating as much publicity as possible through planting ceremonies/events, such gardens can easily be used as educational tools to educate local gardeners to the need for preservation. Such gardens can grow varieties entirely for seed and make possible a second wave of seed distribution to local gardeners who have become interested in historic varieties. This would be a living back-up for the Heirloom Seed Bank. My goals are to locate all heirloom vegetable varieties that are still being kept, to keep alive all varieties that are being dropped from catalogs and to locate varieties that have already been dropped, but are still being kept by individuals. I know from my experience with the Seed Savers Exchange that there are more and better vegetable varieties being kept by individual backyard gardeners than are currently available commercially. Many are uniquely resistant to disease, insects, drought or cold and are also very well adapted to local growing conditions. They must be saved for future breeding purposes. During a period when the government has drastically cut funds for public breeding programs at State Experimental Farms, I believe that the programs I have outlined can effectively increase the genetic diversity of our future food crops. It has cost hundreds of millions of dollars for the programs that bred the commercial varieties that are now becoming extinct. I am asking for precious little other than the time to save them. This is a pilot project that demonstrates a way to coordinate a large network of seed exchanges, storage projects and growers networks. The real value is not only my project, but this experiment with a functional structure that others can learn from. Without this grant, only a small fraction of what I have proposed will be accomplished. If it is approved, allowing me to carry out my plans, the value to future generations will be inestimable. This is not a job for me, but rather a life’s work. I have taken the Seed Savers Exchange as far as I can on a shoestring and with spare time. I am not asking for continuing support, but only for an initial boost to allow the Seed Savers Exchange to become what it can be and also to become self-supporting. Please consider funding this proposal in part or totally.